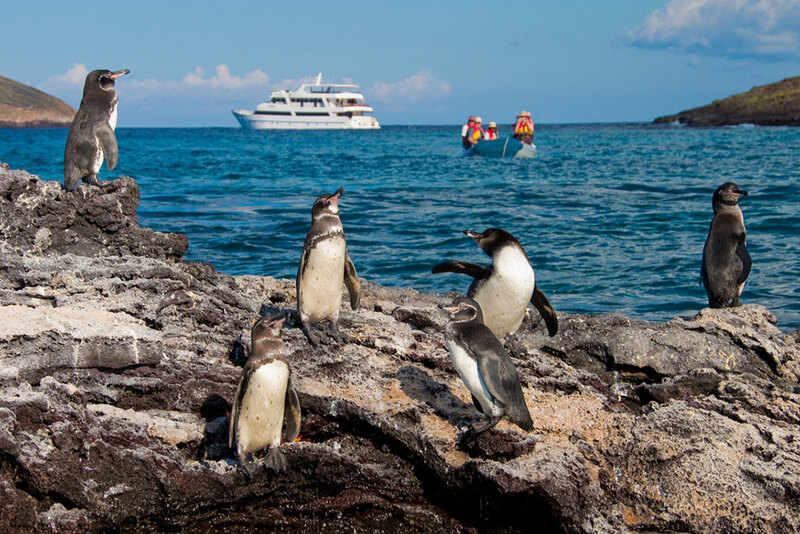 A 16-passenger luxury motor yacht, Galapagos Sea Star Journey offers authentic expedition cruises around the Galapagos Archipelago. 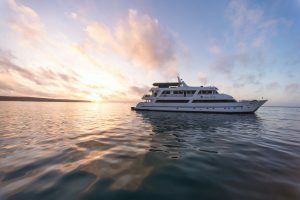 Galapagos Sea Star Journey is Latin Trails' newest ship. 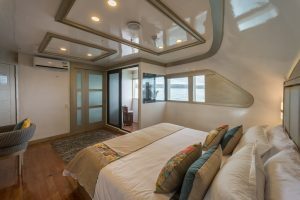 It was custom-designed and built in Guayaquil in 2011. 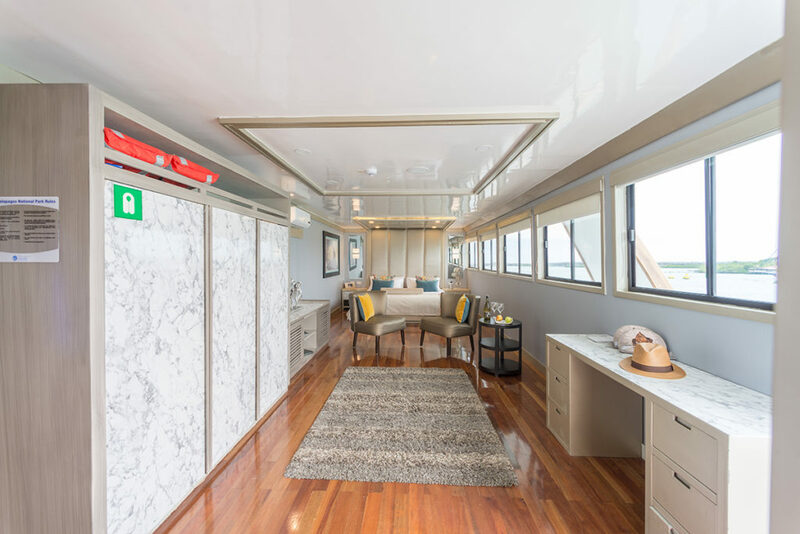 As a high-end vessel, the yacht was made of high-grade marine steel. 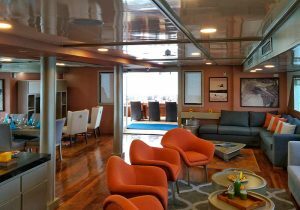 A master carpenter was tapped to install teak flooring throughout the outer decks and Amarillo decking for interior floors. 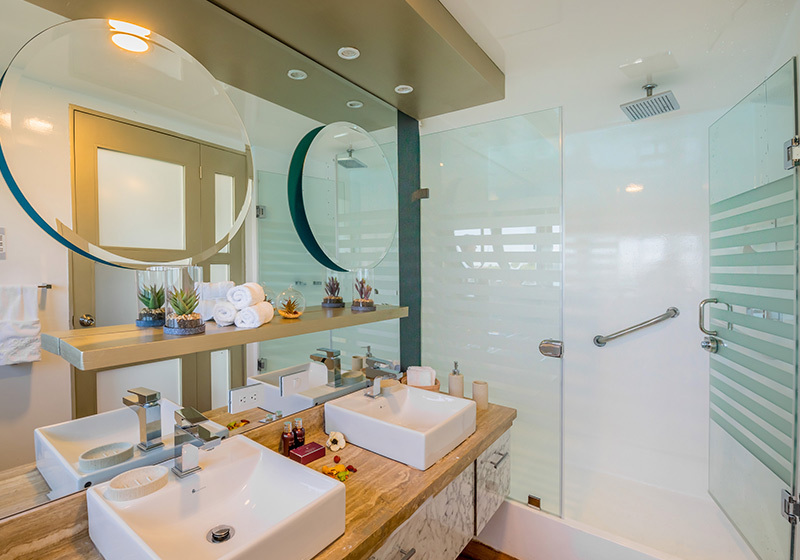 Seike, a locally sourced tropical hardwood, was used to handcraft bedframes and furniture. 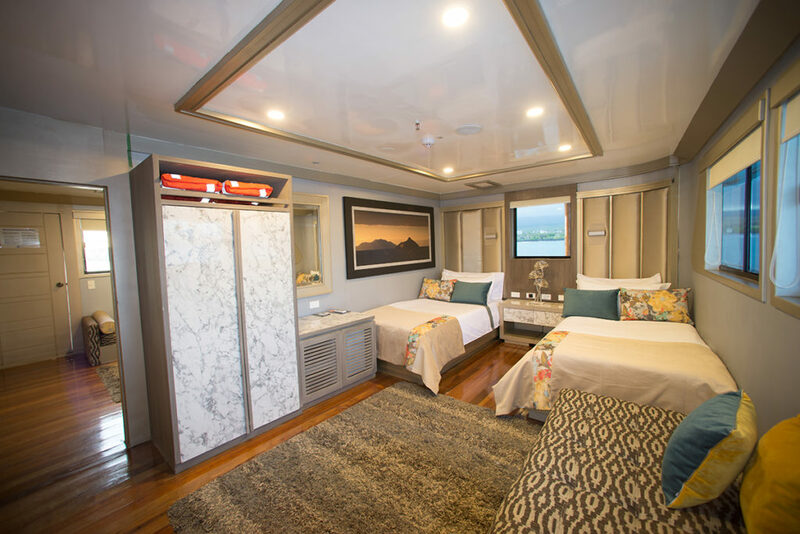 There's no mistaking that you're on a ship; the design has a decidedly vintage marine tone that travelers appreciate. All meals are included and served in an international style, combining natural and organic ingredients in order to offer a healthy gastronomic experience. 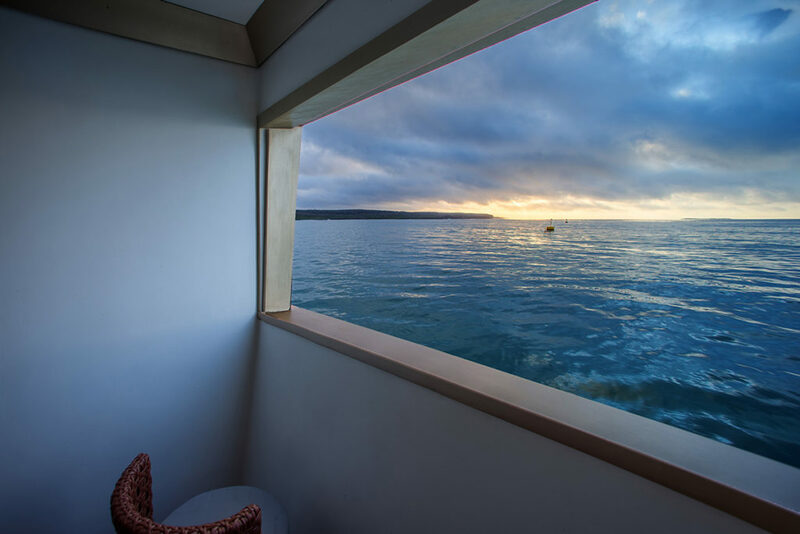 In the case that some guest may require a special dish due to food allergies or restrictions, our chefs will be willing to adapt the menu to these requirements if it has been informed previous the trip. 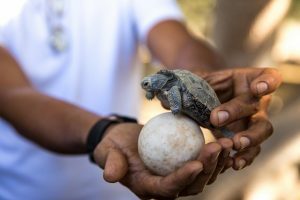 Our certified naturalist guide are top ranked, speaks English and have wide experience and knowledge on the Galapagos Island topics such as wildlife, geology, marine life, biology, and more. At the end of every day, visitor will be able to share their daily experiences and receive the Guide´s briefing for the shore excursions of the next day. 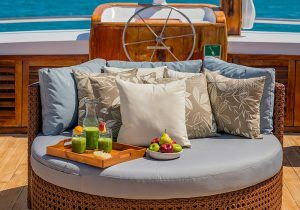 On board the passenger will have unlimited water, tea and coffee service. Also, for an extra charge, a Bartender is available for cocktails and soft drinks. 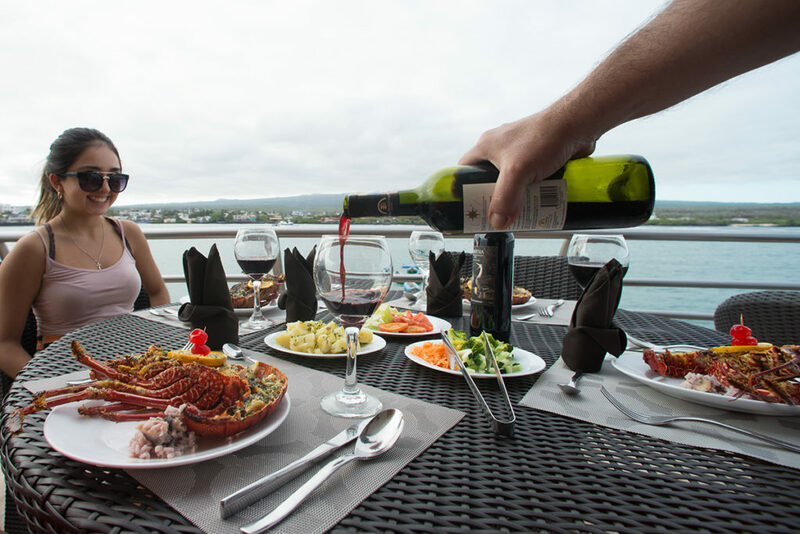 Do not forget to ask for our wine exclusive menu, ideal for the dinner or a special moment. The yacht offers a variety of accommodations, including seven 269-square-foot Galapagos Suites with two twin beds that can be converted to a king, and one Sea Star Suite, which is 377 square feet. 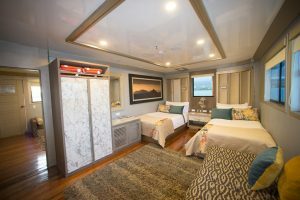 Each cabin has panoramic windows, private marble bathroom, air conditioning, a mini-bar, flat-screen TV with DVD player, and a sofa bed that can accommodate a child or teenager. Connected suites are available for families. When onboard the ship, travelers stick to the sun deck -- which features two hot tubs along with daybeds and loungers -- so they can keep an eye on the water for marine life while also relaxing in the sun or shade. 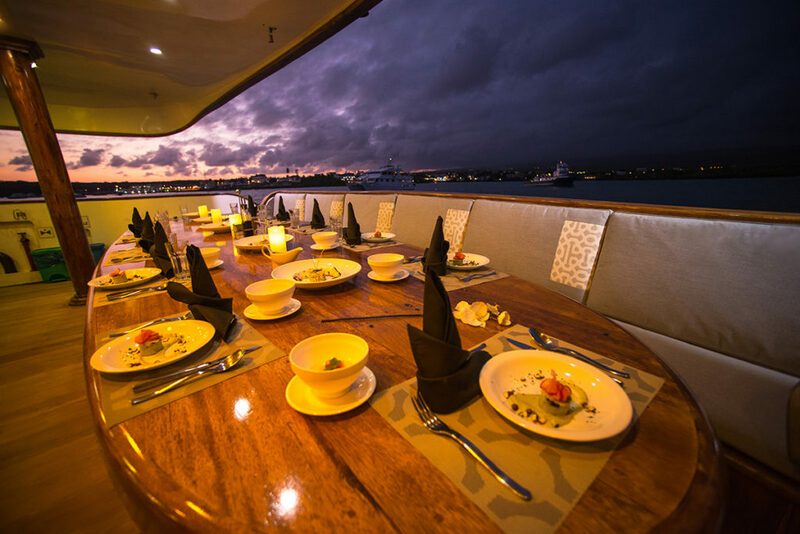 Each Latin Trails cruise includes a few fun extras such as a ceviche cooking class, an on-deck barbecue -- featuring picanha (sirloin cap), beef sausage, boneless chicken with oregano and lemon, tequila-marinated prawns and more -- and alfresco dining experiences. 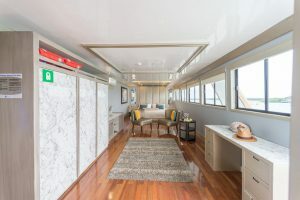 The ship also has an open bridge policy, where cruisers can chat with the captain and learn what it takes to navigate the many islands of the archipelago. 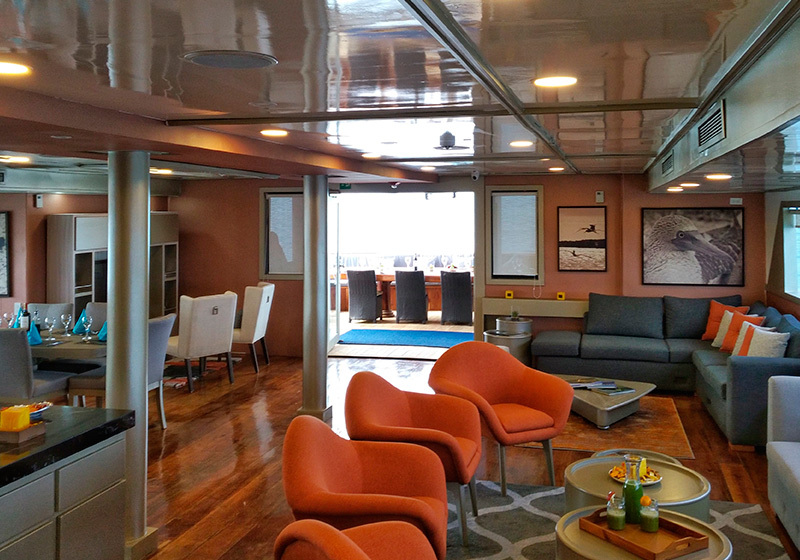 Sea Star Journey also features an indoor lounge with a self-serve coffee and tea station; this is also the place for evening lectures. 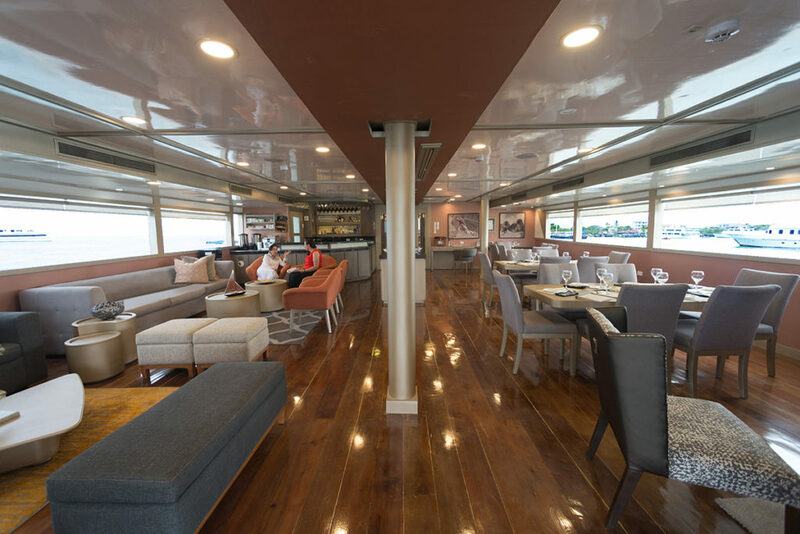 There is an indoor dining room, a small library with a kids' corner, and an alfresco dining area on the stern. 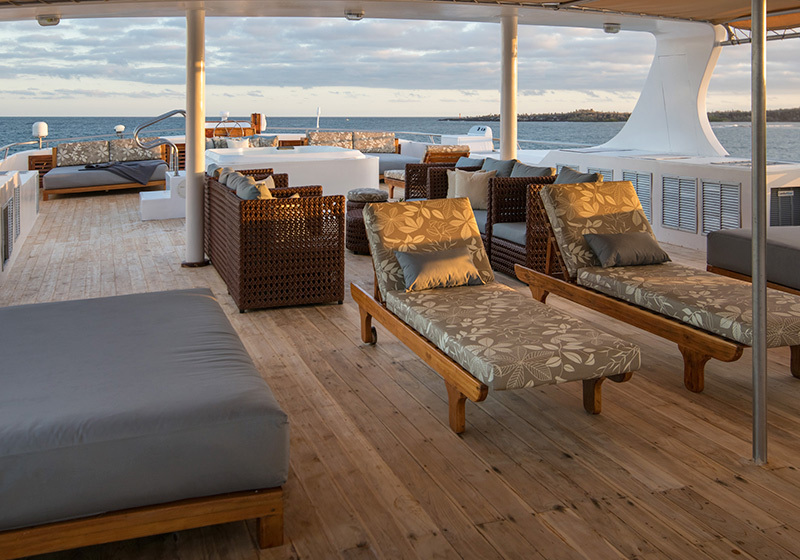 Latin Trails' cruise fares include unlimited water, tea and coffee. Wine, cocktails and soft drinks are available for an extra charge. Breakfast and lunch are buffets (with an omelet station appearing in the morning) and dinners are served family-style with an entree choice of chicken, meat or seafood. In addition to Western dishes, expect some Ecuadorian specialties such as shrimp ceviche, coconut fish with rice, and seco de chivo (lamb stew). A vegetarian menu is also offered. 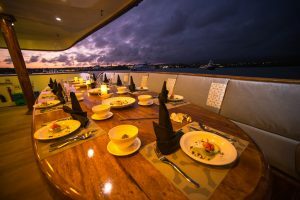 If you have special dietary requirements, alert the cruise line at least 15 days before departure and they will accommodate you.